In a market the seller and buyer are brought together by mutual interest and the benefit they can be to each other. The buyer wants what the seller has to offer; the seller wants the best offer he can get for it. There may be some haggling, but in the end, if both sides are satisfied, a transaction takes place. In short, both sides want something; both have something to offer. Recruitment is just such a market process. The employer is offering a job. He wants to attract the best possible candidate by making it as inviting as possible. The candidates for their part each want to convince the employer that they are just right for the job, and that they are better than any of the other candidates. As in all markets there are two sides to the deal, and it takes salesmanship and negotiation to bring them together. Each side has its own weaknesses to guard against, its own aces up its sleeve. You must also remember that in today's extremely competitive market, you must take the initiative when it comes to finding a new job and you must do this in a distinctive way, so that you stand out from the crowd. Your future career will not take care of itself - you must get out and grab the opportunities. "Hello, Mr Jones? My name is Sue Smith. I am an experienced Technical Training Specialist"...define your offer succinctly. Using the mendicant approach, you can go from person to person and from place to place asking for a job. You become, quite literally, someone begging others to come to your rescue. Eventually, you may find a job, but at great cost to your self-esteem. And what kind of managerial job is offered to a mendicant? Using a target marketing approach, you develop a clear idea of the product that you have to offer, define the type of job and environment best suited to that product, mount an effective marketing campaign targeted at prospective users, and present the product as available for a limited time only. It doesn't require an MBA to choose between the two. 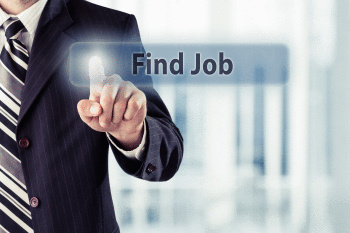 The target marketing approach is clearly the more effective way to carry out the job search. "Be true to what naturally interests you - and be brave enough to turn an obsession into a profession." - Shelly Branch"
"With my non English speaking migrant background I was apprehensive about you methods of finding a job, but it worked for me as well. My advice to someone wanting a job is to do what you say, and it will work for them".